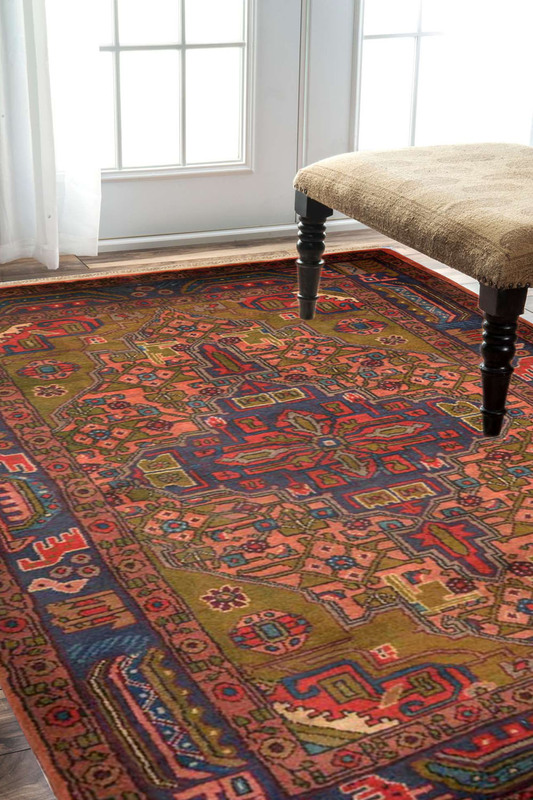 The Semi Medallion Trois rug is an attractive piece of art with vibrant colors. The design is originated from Baluch heritage and gives a very classic look. - This Rugsandbeyond Semi Medallion Trois Afghan rug is a proud symbol of exclusivity the hand knotted carpets can depict. - Woven by top-class master weavers, this stunningly gorgeous rug has great intricacy and definition. - Primary colors are pale green, rust, and soothing blue. Secondary colors are ivory, dull red and light brown. - It is handmade in 100% wool and its texture is extremely smooth giving it a very soothing look.